﻿ [KANESHIN of bonsai tool]Copper Wire "CAYUCA" #24(0.5mm)-#23(0.6mm) 50g-roll "Weight 200g(including the carton)"
All Items > Wire > Copper > Copper Wire "CAYUCA" #24(0.5mm)-#23(0.6mm) 50g-roll "Weight 200g(including the carton)"
Copper Wire "CAYUCA" #24(0.5mm)-#23(0.6mm) 50g-roll "Weight 200g(including the carton)"
Who is Mr. Masahiko Kimura? Mr.Masahiko Kimura is one of the most famous bonsai artists. 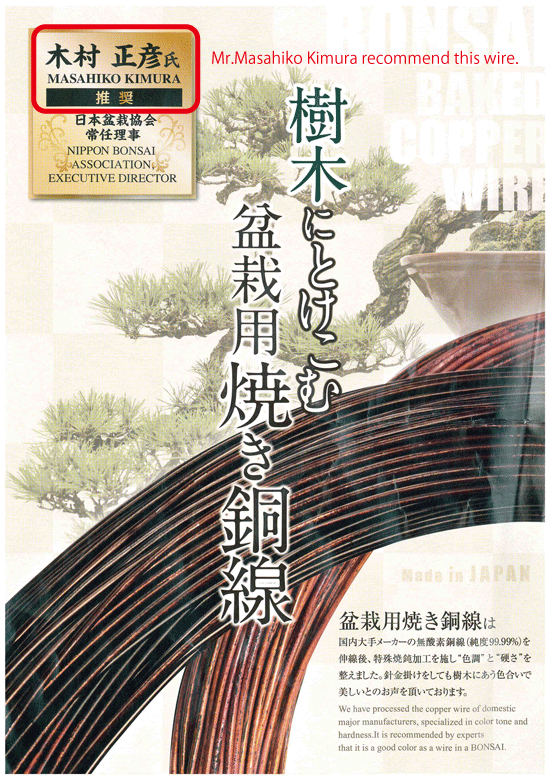 Bonsai master "Mr.Hiroki Miura of Miura baijuen is using Copper wire "Cayuca" to wire Akamatsu. 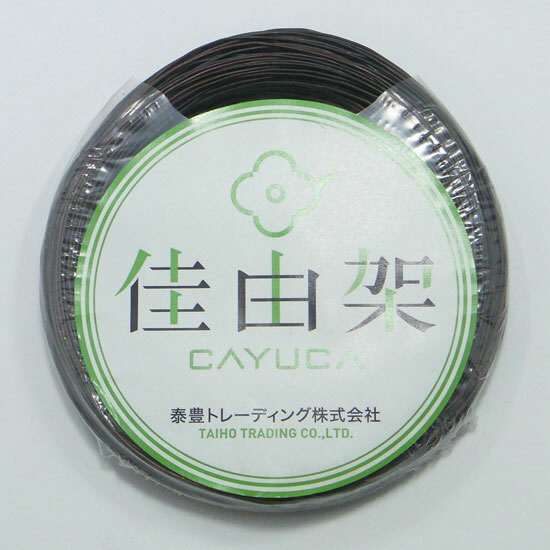 Item Name Copper Wire "CAYUCA" #24(0.5mm)-#23(0.6mm) 50g-roll "Weight 200g(including the carton)"